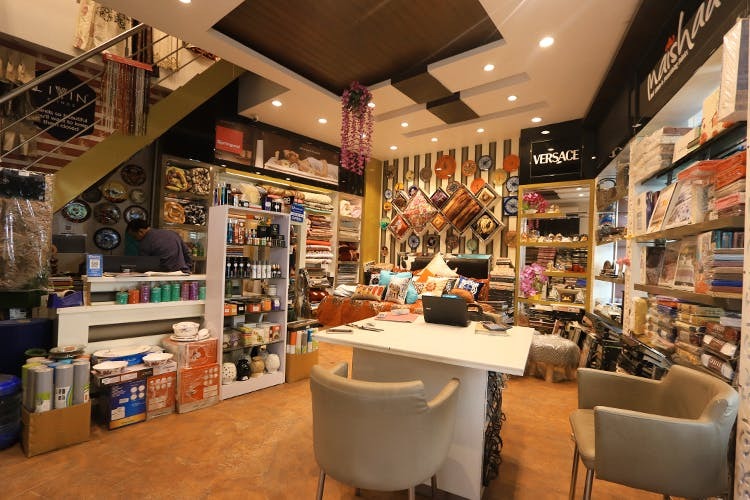 This Home Décor Store In Sultanpur Should Be On Every Millenial's List! Victor Craft & Textile Pvt. Ltd. This furnishing store at Sultanpur is your one stop shop for your home furnishing needs. Quirky soap dispensers, pretty curtains, customised towels and cushion covers, this home décor store has all you need and more! Victor Home Furnishing Store has outlets in Good Earth City Center and MGF Metropolis Mall. Their collection is priced very reasonably, with duvets starting at INR 1,000 and cushion covers starting at INR 450. They also do fun customisations, so if you’re looking for a suitable house-warming gift, this is the place to go. Their bathroom accessories have creative, cute soap dispensers and furry bath mats, which we love! This store is especially suitable for millennials, who have are looking to furnish their new homes. A store that’s young and goes easy on the pocket, we’re sure your home décor needs will be satisfied here. Happy shopping!